Last week I put the ‘Tales from behind the counter’ from the Red Wing Shoes Vienna store online. This topic is published before in the printed Red Wing Shoes Post. As these stories are so good we, Red Wing and me, decided to share the previous ones too on Long John. So here’s the second one with the tales told by Kami Hashemi from the Red Wing Shoes Frankfurt store. Kami Hashemi from the Red Wing Shoes Frankfurt store. 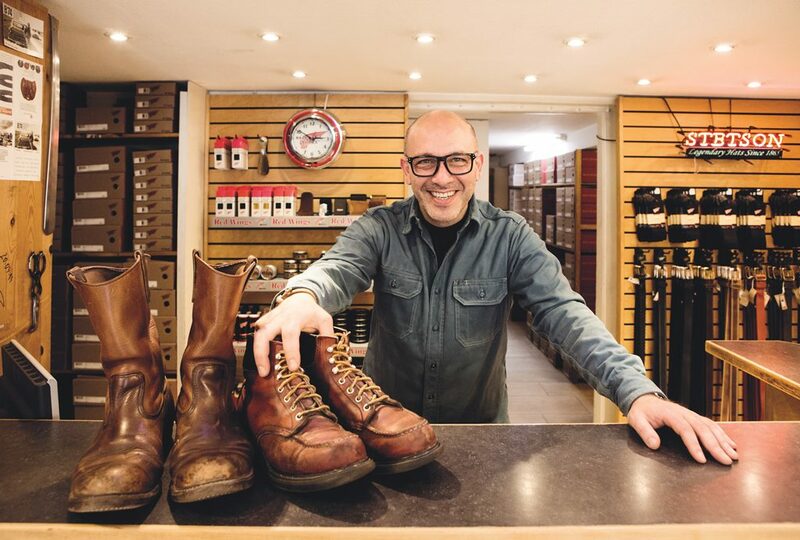 “The last shoe on earth will be a Red Wing Shoe.” Kami, the owner of Red Wing’s oldest store in Europe, strongly believes this to be true. 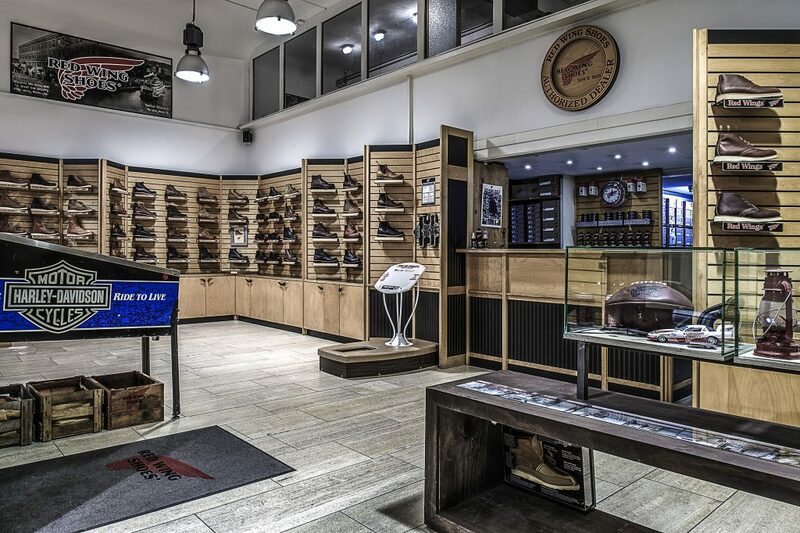 Located in Frankfurt, his store is considered an institute for shoe fitting, advice and service. The longer a product lasts, the more soul it accumulates. The same goes for Kami’s store, where the colorful clientele leads to surprising encounters every day. 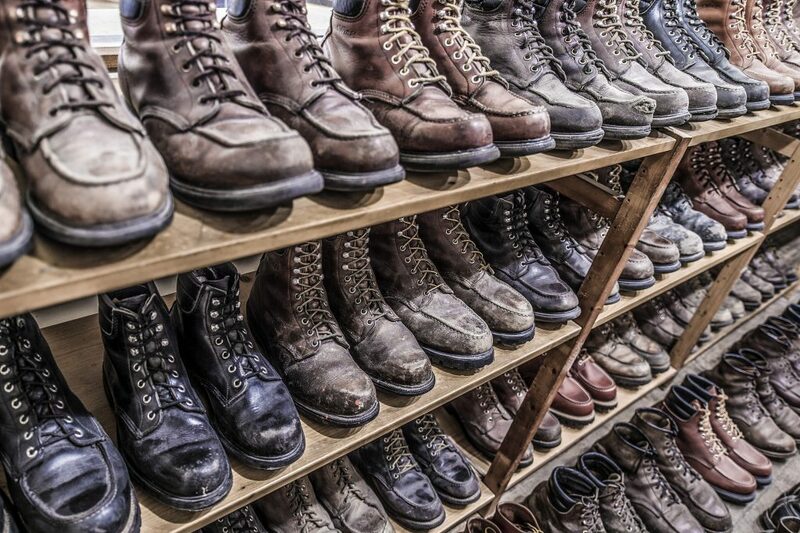 From behind the counter, Kami shares some unique stories associated with the boots he sells. And as a real ambassador of the boots, some advice is included. In the 1970’s, style #8804 was highly popular in Frankfurt, while this bright red Moc Toe boot wasn’t as appealing to the consumers in the USA. As a result, Red Wing Shoe Store Frankfurt was the only one offering this boot at that time. One day a German guy from Frankfurt walked on the streets, far away from home, in New York City. At the end of the street he sees a man walking towards him and his eyes were drawn to his feet, where he spots a pair of red 8804’s. He looks up at his face to see the other guy staring at his boots. They were wearing the same style. He stops him and asks in German; “Hey, bist du aus Frankfurt?” (Are you from Frankfurt?). The guy replies: “Ja, klar!” (Yes obviously!). More and more people started to recognize each other as being from Frankfurt by the boots they were wearing. That is how style #8804 – former #204 – came to be known as ‘the Frankfurter’. 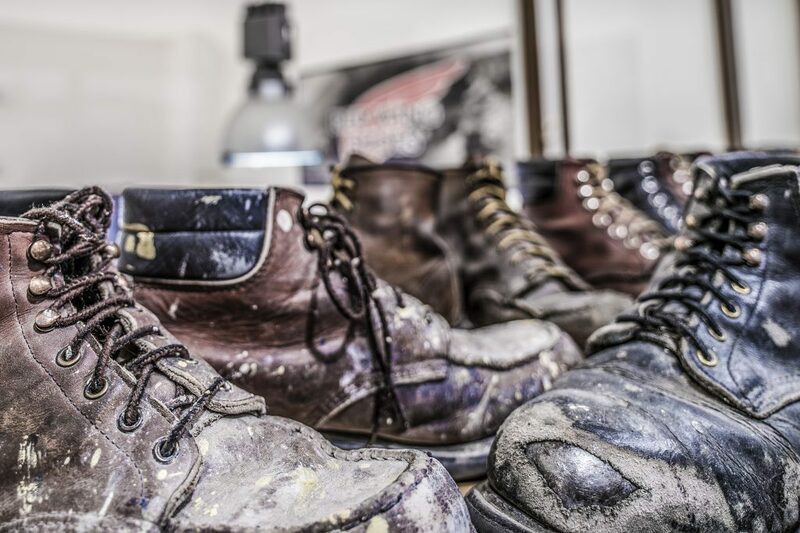 The construction of this boot, a Super Sole Welt, is patented by the Red Wing Shoe Company. 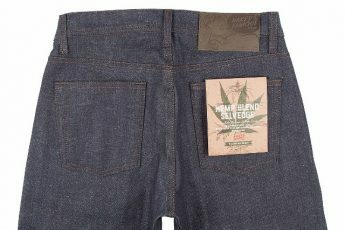 The Welt has a special design, which makes it long lasting and lightweight. It is the lightest durable welted boot that I know and probably the reason why it became Frankfurt’s most favorite boot. The insole, called Poron, is a long lasting shock – absorbing and anti-bacterial insole that is one of a kind! I saw a 30-year old pair of boots with that insole still in perfect shape. Where to wear a pair of Frankfurters? It’s more about when to take them off. Beach, maybe. Bathroom, probably. Bed, possibly. “Ok,” he replied, “but how long does it take for the new ones to look like these?” I said, “Probably about seven years, depending on what you do with them.’’ “Oh no,” he said, “I don’t have seven years, I need them now!”“Ok,” I said and gave back his credit card. “I can’t sell you boots that we received for free from another customer, so if you really want them, you can just take them.” He looked at me in disbelief, then gave me a massive hug and happily left with his new old boots. Follow the store also on Instagram: @redwingfrankfurt. 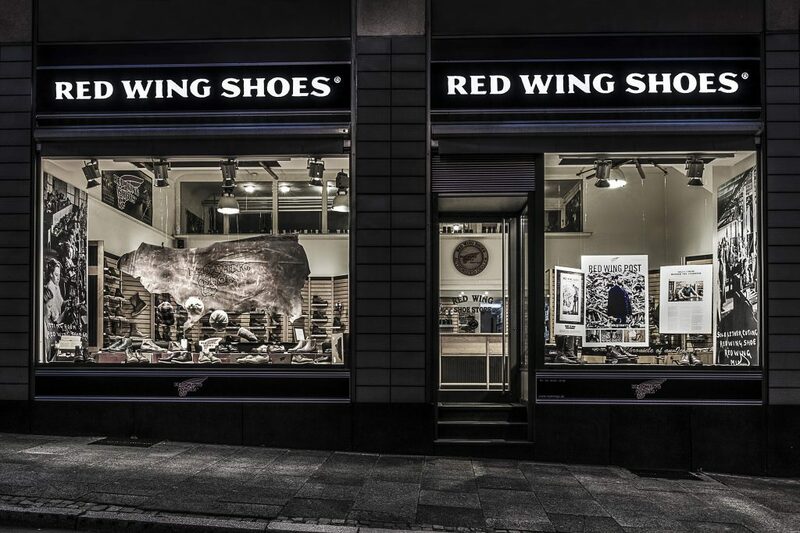 Read also previous Tales From Behind The Red Wing Shoes Vienna Store Counter here.